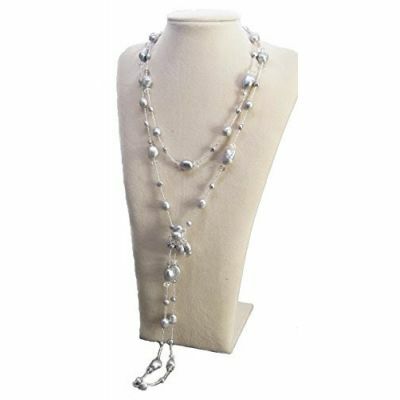 Beautiful silver and grey Genuine Fresh Water Pearls long strand necklace. It is 63" long. You can wear it double, triple or just as one long necklace.